Shopping for a mattress before doing your research is like going to the car dealership without knowing what you want. You can easily get overwhelmed or worse yet, buy the wrong type of mattress. After you've tested what feels like the 100th mattress while you are mattress shopping, they may all start to feel the same. So what should you do to buy the right mattress? Read this helpful guide to find out. How to Buy a Good Mattress The best way to buy a good mattress is to know what you need. Don't fall for the latest "pillow top" trend or assume that because your neighbor loves his mattress, you should get that one too. A good mattress is the one that suits your body type, is within your budget, and will provide the features you and your partner need. Buying a mattress isn't as easy as it looks. Sure, many of the mattresses look the same as you walk through any mattress store, but looks can be deceiving. A quick test drive on even just a few mattresses and you'll suddenly see the vast differences each one may have. So how do you know which mattress is right for you? Start with the following factors to help narrow down your choices. What Month Should You Buy a Mattress? The best month to buy a mattress is the end of March or beginning of April. This is right when mattress stores start receiving the newest models for the next year. They need to get rid of the older models and make room for the new mattresses. They will generally mark the prices down on the older mattresses at this time. Even if they don't, you may have an easier time haggling for a lower price. Comfort: This probably seems obvious. You want a comfortable mattress. But what's comfortable to you may not be comfortable to the next person. Comfort in this case means the mattress is either firm enough or soft enough, depending on your needs. For example, if you are a side sleeper, you may want a softer mattress to avoid unnecessary pressure on your joints. A stomach sleeper, on the other hand, may prefer a firmer mattress to avoid that "enveloped feeling" a soft mattress may provide. Support: No matter the type of mattress you prefer (soft or firm), everyone needs a supportive mattress. Supportive means your body is properly aligned while you sleep. You don't want your body to be flopping around unsupported or so over-supported that you wake up feeling rigid and stiff. One way to test for support is to lie on the mattress for at least a few minutes in your typical sleeping position. Can you stay in that position for a few minutes or do you find yourself fidgeting? If you fidget, you haven't found the right support for your body type. 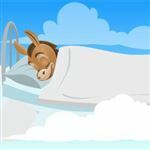 Is It Better to Sleep on a Soft or Hard Mattress? The right mattress for you is the one that holds your spine in a neutral position. This means your body is in alignment. You shouldn't feel pressure on your joints and you should feel relaxed. Now for some people, like back and stomach sleepers, a firm mattress is best. On the other hand, people with back pain, arthritis, or other joint issues may benefit from a soft mattress, where they feel more cushiony support rather than rigid support. So it's not that a firm or soft mattress is the "best"—it's what is best for you given your circumstances. Temperature: Even the most comfortable mattress won't do you any good if it doesn't regulate your temperature properly. Without proper ventilation, a mattress can trap heat, which can mean many sleepless nights for you. You want a mattress made of breathable material and proper ventilation, even if you live in an area with a cold climate. Motion: If you share a bed, you'll want to check the motion of the bed when your partner moves. There's nothing worse than feeling like you are in the Titanic all because your spouse changed sleeping positions. Test the mattress with your partner. Have him/her move around and even get in and out of the bed. See how much of the motion is transferred to your side of the bed. While you'll likely feel something, it shouldn't be so much that you are woken constantly by the motion. Edge Support: A bed with edge support will retain its shape even when you sit on it. A bed without edge support will sag and may even do so when you sleep close to the edge. While you may not fall out of the bed, edge support can help support you. If you take your time getting out of bed or use the bed to help you get dressed, edge support will play an important role in your decision. You wake up feeling older than your age. You feel like the coils are poking you when you sleep. Your bed has become noisy. You just can't get comfortable in your bed. There are obvious dents or saggy areas in the mattress. Now that you know the factors you should consider, it's time to learn the types of available mattresses. The more knowledge you have when you test drive mattresses, the more you can narrow your options to make the process easier. Innerspring: One of the more popular options, this mattress has interlocked coils as a basis with a comfortable top layer. The top layer's material can vary, as can the number and distribution of coils within the mattress. The innerspring mattress usually provides firm support and may be suitable for stomach, side, or back sleepers. Memory Foam: When you lie on a memory foam mattress, you'll feel as if you are "sinking in." The mattress will conform to your body, but then obtain its original shape when you aren't on it. Memory foam may help relieve pain in certain pressure points when you lie down. It's often a beneficial material for side sleepers. Pocketed Coil: Pocketed coils are individually wrapped innerspring coils. The coils are not interconnected like an innerspring mattress. The individually wrapped coils help provide you with more support and less movement when your partner moves or gets out of bed. Gel Memory Foam: If temperature regulation is an issue for you, memory foam itself may be too hot. Memory foam doesn't have the ventilation necessary to keep you cool. Gel memory foam offers a greater level of air circulation. The gel captures the heat given off by the memory foam, rather than transferring the heat to your body. Pillow Top: A pillow top mattress has an extra layer of comfort on top of a traditional innerspring or foam mattress. It's often the chosen mattress type for those who want firm support but appreciate the cushiony feeling of the pillow top. Keep in mind, though, that the pillow top is often a deeper mattress, so it can be more difficult to find appropriate sheets. Hybrid: When you can't decide between types of mattresses, you may be a good candidate for the hybrid bed. With the best of both worlds, you can get a coil spring mattress with a foam top. Of course, each manufacturer has a different definition of hybrid, so you'll want to research your options carefully before choosing a hybrid mattress. Water Bed: As the name suggests, this mattress uses water as the support system. Above the layer of water is a layer of foam. You can choose from free-flow water or limited-flow water, which controls how much the water moves in the bed. If you have a partner or don't like the motion of a traditional waterbed, the limited-flow may be the better choice if you want a waterbed. How Often Should You Buy a New Mattress? As a general rule, mattresses last 8 years. Because each manufacturer makes their mattresses different, though, your mattress may last anywhere between 7 and 9 years. Look for the warning signs we spoke about above. As soon as you notice them, it's time to start shopping for a new mattress. As with many things in life, the more you spend on your mattress, the higher the quality you will get. This doesn't mean you have to budget for the most expensive mattress available on the market. How much you should spend should be a balance between how much you can afford and the features you need for a good night's sleep. If you can afford to splurge, consider it an investment in your health and well-being. If you consider that you spend at least one-third of your life in bed, it makes sense to make the most of your purchase. On average, if you get a supportive bed meant for your needs, you can expect to pay around $1,000. Of course, there are ways to save money on this cost, including buying online or even haggling for a lower price. Keep reading to learn how you can save on this cost. If walking into a mattress store's showroom has you feeling overwhelmed, consider buying your mattress online. Not only can you buy a mattress from the comfort of your own home, but you may also save money. Of course, this depends on where you shop. Know the Return Policy: One disadvantage of buying your mattress online is the inability to try the mattress. You won't know if you like it until you've bought it. Luckily, many mattress companies, like Leesa, give you a 100-day risk-free trial. This varies by seller, so always make sure you read the fine print. Otherwise, you may find yourself stuck with a mattress that you hate. An even better option, though, if you can handle it, is to shop for a mattress in store to figure out what you like. Once you know the mattress that will suit your needs, you can shop online to find the lowest price. Unlike big box retailers, online retailers (without a physical store) don't have the same overhead. They can then pass those savings onto consumers, saving you between 25% and 50% off your mattress. Of course, don't just assume you will save money by shopping online. It's important to comparison shop to see how the prices stack up. Just like your brick-and-mortar stores, online retailers may offer sales or coupon codes during special times of the year, usually around the major holidays. One area you'll want to pay close attention to is the cost of shipping. Some retailers offer free delivery through delivery contractors. Foam mattresses may even come to you via FedEx, as the retailers can roll foam mattresses up into a tube. From there, you can read the dimensions of each mattress, learn about its features, and get information on its warranty. You should be careful with the return policy, though. Certain mattresses sold on Amazon include free returns, which means a delivery crew comes out, repackages the mattress for you, and ships it back. Not all mattresses come with this service, though, which could require that you to get the mattress packaged in its original packing (good luck) and ship it back. If you can't, you may end up with a mattress you don't want. Buying a mattress is a large purchase. If you don't have the cash to pay it in full, you may look for financing options. Unlike buying a car or house, you may be able to buy a mattress even if you have bad credit. You just have to look at your options. Many mattress stores work with financing companies that specialize in clients with bad credit or no credit at all. Before you accept a plan, make sure you read the fine print. Know how much the mattress will cost you in the end. In other words, look at the big picture. Don't focus just on the interest rate, but on how much that interest will add to your total mattress bill. Is it worth financing the mattress or should you find an alternative method to pay for it? Of course, paying cash upfront is the best option. Then you don't have to worry about paying interest charges. If you can't pay for it, though, consider using a credit card or looking at the financing options the mattress store offers, as most have their own programs available. 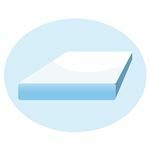 The crib mattress is the one mattress you don't have any choice on firmness. Babies need a firm mattress to reduce the risk of suffocation. Just like adult mattresses, though, you'll have options that include innerspring, foam, and cotton (possibly even organic). Most important is the size of the crib mattress, though. You need a mattress that fits the crib snuggly (there shouldn't be more than a 2-finger width between the crib rails and the mattress. As your child transitions from a crib to a toddler bed, you'll need to get him a mattress. This new transition means he won't need a super-firm mattress as he did when he was a baby. But toddlers still need medium firmness to support their growing bodies. Another major concern is the material of the mattress. Does your toddler have allergies? If so, cotton may be the best option, as it's the most breathable. Does your child prefer the soft, enveloping feeling of memory foam or does he like mattresses that are more rigid? These are questions you'll want to ask yourself as you look for the right mattress for your toddler. You spend 33% of your time on your mattress, so it's bound to get dusty, dirty, and filled with allergens. Since you can't throw your mattress into the washing machine, the next best thing is the mattress pad or protector. This way, your body doesn't come in contact with the mattress itself and anything that gets on the mattress pad will be washed away when you wash it in the washing machine. Before you buy a mattress pad, consider your reasons for getting one. Do you need waterproof protection for a bed wetter? Do you have allergies? Do you need temperature control? These are all factors a mattress pad can help with if you choose the right one. For example, a person with allergies may need a hypoallergenic mattress pad. Thick mattress pads can add a layer of comfort to a mattress. A breathable mattress pad can help keep the temperature of the mattress down, allowing a better night's sleep. Buying a mattress is a major decision. It's one you'll likely live with for the next 7 to 9 years, and it's not an inexpensive purchase. Take the time to do your research, consider your needs, and comparison shop to find the mattress that is right for you. Mattress stores slash prices as much as 60% during the year. But buying online may still save you the most money. Read on to learn more, plus tips to help you shop. Home Chef delivers fresh ingredients and recipes to your door. But it could get pricey. Is it worth it for your family? Read on. Share on Facebook "How to Buy a Mattress"